The Michigan Historical Review is in the process of migrating to JSTOR. The Review will also participate in JSTOR’s Current Scholarship Program. Starting in 2011 we will have both current and historical content from our published journals available on a redesigned JSTOR platform. 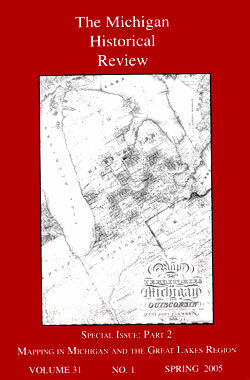 To read more about the Michigan Historical Review, please see our website here. CMU Libraries subscribe to JSTOR and provide access for student and faculty use. The link to JSTOR is here (for on-campus computers and for patrons who have logged in with their CMU global ID and password). As a cataloger, I understand the seriousness of misplacing or losing an item in our archives. Once something is mis-shelved it is often difficult, if not impossible, to find. Sometimes serendipity steps in and while retrieving a different requested item the missing item appears. 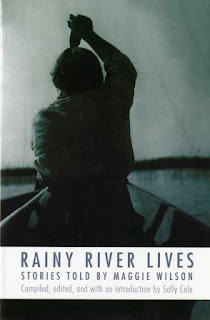 So it is with a collection of stories between Maggie Wilson and Ruth Landes compiled into a book called Rainy River Lives: Stories Told by Maggie Wilson published by University of Nebraska Press and edited by Sally Cole. Rainy River Lives is a recent acquisition of the Clarke Historical Library. We are delighted to add it to our Native American collection. 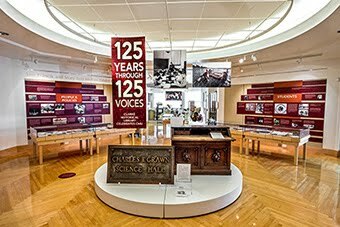 According to the author Lawrence Block, “One aspect of serendipity to bear in mind is that you have to be looking for something in order to find something else.” Come to the Clarke and see what you can find. Is it any surprise that the digital reader printers we installed in the reading room two years ago are so popular with Clarke patrons? These machines, ScanPro 1000s, have revolutionized the process of copying information stored on microfilm. We have two of them, and when the university is in session they are in constant use. Both are equipped with a 7-54X Zoom lens, so no switching of lenses is required as in olden days, and both employ auto-focusing and auto-exposure software. Each has a 24” LCD monitor which can be turned in either portrait or landscape position, and the images on those screens can be easily rotated. Images can also be downloaded to a thumb drive, and it is this feature that is most popular with users, saving them the trouble and the cost of making print copies. Of course print copies can easily be made, however, and/or you can send images directly over the internet as email attachments. You choose the format: pdf, jpg, tiff, etc. 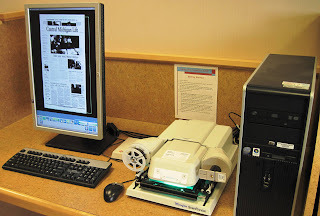 These powerful microfilm viewer/scanner/printers take up very little carrel space compared to the old hand-cranked dinosaurs that once flourished in research libraries. The ScanPro sits on a space that is about the size of two sheets of letter paper. 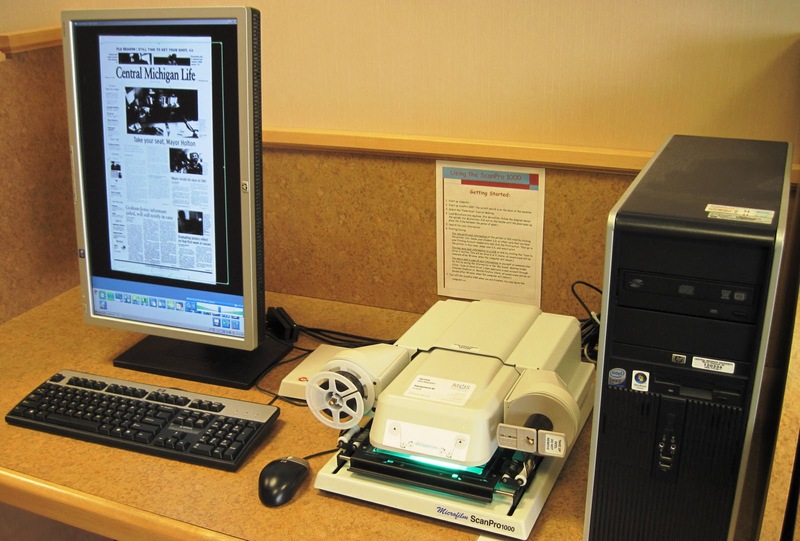 Yes, there is a learning curve before one feels comfortable using a digital microfilm reader, and patrons require careful assistance when first introduced to the ScanPro, but once they get the basics down they are off and running on their own. To help our patrons, we put together a “Quick Start Guide” which we keep in a binder next to the ScanPros, and Andrea, one of our student assistants, created ScanPro templates for some of the more popular items we have on microfilm, such as Mount Pleasant’s Morning Sun. In the Reference Department we are all now confident users of ScanPro 1000, and none too soon. I see they recently came out with ScanPro 2000. New acquisitions are always a source of wonder and amazement. Recently, through the generosity of Pat Wilmot, a long-time volunteer with the Boy Scouts of America, the Library received five boxes full of published scouting material. Founded in 1910, Scouting is both an ongoing, active youth organization and an iconic part of American culture. When someone is described as “a real Eagle Scout,” the phrase still carries a great deal of meaning. The printed material the Clarke received is especially focused on Cub Scouting. Cub Scouting was created to solve what was known in the 1920s as “the younger boy problem.” Originally, Scouting had no program for boys in grades 1 through 5. To involve these children, in 1930 the organization creating a “cubbing” program, renamed Cub Scouts in 1945. In 1936 the male-dominated world of Scouting bowed to reality and established the position of “den mothers,” recognizing the critical contributions women made to Cub Scouting. The books received from Ms. Wilmot go back to the 1940s and document the values taught to these young children as well as the ways adults sought to capture their attention. 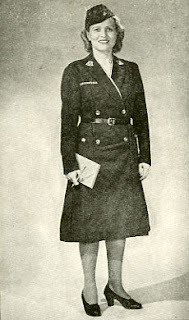 The Den Mother’s Denbook (1945) begins by reminding a den mother of the Cub Scout promise, “to do my best, to be square, and to obey the law of the cub pack,” but it quickly adds solid practical advice, such when a special occasion is planned, “feeds” are always a good idea . Ceremonies, Stunts, and Skits (1957) contains many good ideas for how to keep youngsters interested. However Group Meeting Sparklers: 120 Ideas to Brighten Any Meeting (1962) reminds us that sometimes there is nothing quite so entertaining to a young boy as a lame joke. The volume describes the “Magic Pencil” this way: “Explain that you have a magic pencil that writes any color. Ask what color they would like it to write. When the victim names his color, write the name of that color: green, red, etc.” Even in 1962, the Magic Pencil was undoubtedly a groaner, but one that surely made the rounds of many playgrounds. We are delighted to add these, and the many other volumes donated by Ms. Wilmot, to our collection.